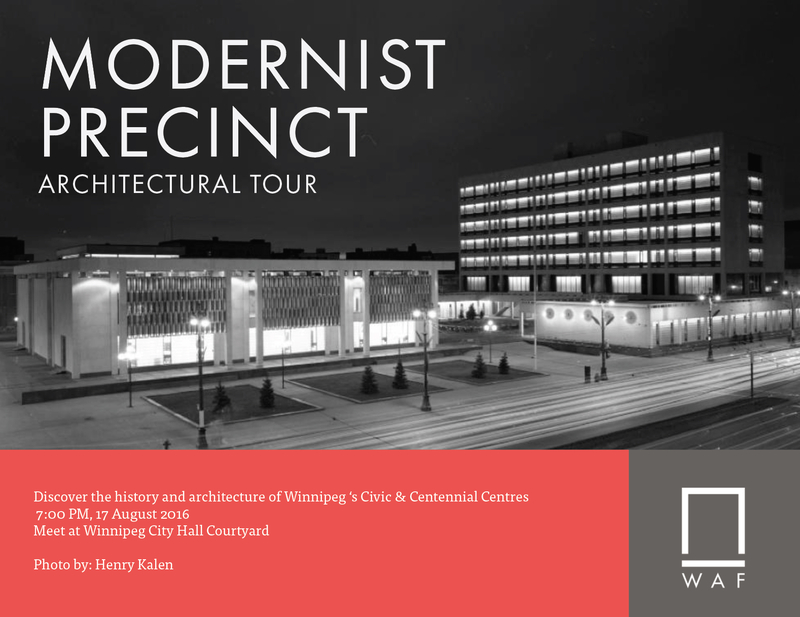 Join architectural historian Jeffrey Thorsteinson for a free tour around the City Hall Complex, Centennial Centre (including the Steinkopf Gardens, Concert Hall, Museum and Planetarium) and the Royal Manitoba Theatre Centre. The 90 minute tour will be primarily outside and the routes are accessible for wheelchairs , bicycles and strollers. There will be an interior visit to the Concert Hall, including the backstage area. Some parts of the building may not be accessible.